"They find a home in your heart"
If you live in a warm climate like I do then you will probably have the age old battle of dealing with fleas and ticks. There are a few *natural* options that will help you fight [and hopefully win] this battle. The first thing I will tell you is to stay away from topical solutions like Frontline, Advantix, etc. there are several reasons I advise this. Firstly, I have tried them and they don’t work NEARLY as well as you are led to believe by pet care professionals; the “medications” are oftentimes the cause of severe allergic reactions and have the potential to cause dryness, itchiness, rashes, and many other health issues with your dog. If however, you’ve used them and you really like them then by all means, spend upwards of $120 a year on prevention. But before you do, read the rest of this page. WHAT IF I ALREADY HAVE FLEAS?! First, go get yourself a bottle of dish soap. [I usually use Palmolive or Dawn] Put your pup in the tub, spread a generous amount of soap around the neck and rub in vigorously. Let your dog sit in the tub for 5-7 minutes with the ring of soap around his/her neck. DON’T RINSE OFF! In the same way, lather down the rest of your dog and again, let it sit for 5-7 minutes. [the fleas will automatically start migrating toward your dogs head and this is why you put the ring of soap around his/her neck] rinse your dog off really well and repeat if desired. Once you are done, put a heavy conditioner on your dog as this type of soap can really dry out their skin. Sprinkle the earth on your dog. NOTE: MAKE SURE YOU WASH ROVER’S BEDDING!!! If your dog is an outside dog then go purchase yard poison from the store and spread generously in areas that your dog usually likes to go play in. [in severe cases] if you aren’t too concerned about a yard infestation then just spread the *Earth* around the outside of the house, yard, and anywhere the dog likes to sleep. I have used garlic as a way to control fleas. You have to be a little careful with the dosage though so if you aren’t comfortable with this here is something else you can do. For the past year I have tried using a different kind of bug spray in order to keep fleas and ticks off of my dogs. Living in a wooded area and having a heavy coated dog is a recipe to attract all kinds of critters. I’ve found great success with Vet’s Best Flea and Tick Spray. It’s relatively inexpensive and super easy to administer. Pet ownership means a lot of things, it means getting on the hands and knees and cleaning up the foulest of messes in the ungodly hours of early morning. It means losing sleep and being late for work. It means several days of vigil making sure my beloved pet doesn’t have any other side-effects….why would I put myself through this? It can only be love. One time, my (at the time) 6-year-old Australian Shepherd, Glory, scared me. She refused to stand up, she refused to eat, and she refused to wag her tail. But, instead of panicking and calling the vet, I got down on my knees and checked her over. I felt her limbs and palpitated her stomach. No fever, no bloating, no panting, no shakes. There was nothing visibly wrong with her except that she was so still. She normally gets very excited about her food, but even her favorite liver treats would not entice her to eat. So, I resorted to a nightlong vigil. At 2:00 am. She was resting right where I left her, flat out, and on the ground. Breathing normally, lifting her head and looking at me. I gave her some water and she lapped at it lazily. 3:00 am. She was flipped over on her other side. Again, I offered her water and she lapped at it. Temperature was normal. 5:00 am. Let Glory out again, time to get ready to go to work. Stepped outside my room and into the schoolroom….. bombs everywhere and projectile vomiting all throughout. For some people, this would have been a nightmare. For me, I was just happy to know why she had felt bad. She’d had a really bad stomach ache! [the culprit was a pot of old beans someone threw out where she could get at them]. If your dog starts shaking or bloating or has a really high fever. Call the vet! Believe it or not, when a dog has a stomach-ache. What they will do naturally is eat grass. 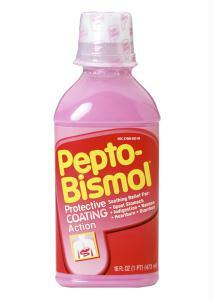 [Lions, Tigers and Bears have all been known to do the same thing] You can use a basic Pepto Bismol treatment and that will oftentimes help with the aches. It is however extremely important that your pet stays hydrated while the ache runs it’s course. Coax them with water and make it easy for him/her to access. Add pumpkin and/or yogurt to their food and it will help with any aftereffects. As a side note: Switching their food can oftentimes cause a stomach ache. Be wary of that and switch over gradually! So if you have a canine, you inevitably have an animal that likes to lick, paw, smell, and eat some of the most vile of items. As a result, your beloved family pet will probably contract parasites. Here are some cheaper, easier ways you can treat these parasites without having to go to a vet and spend bookoos of money. One of the first symptoms of worms is a bloated stomach. You will also see worms in their feces. 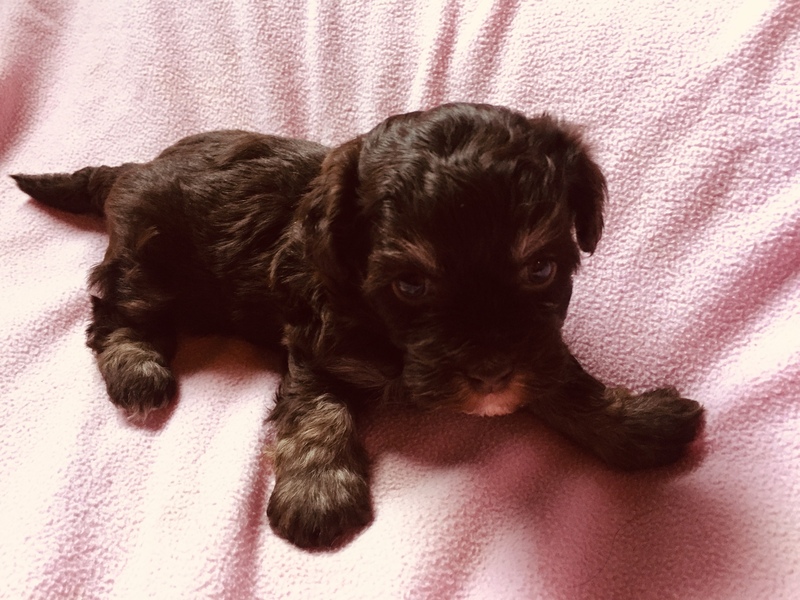 (Although only for certain types) Many times, puppies will be incredibly thin and will seem healthy but if their stomach looks bloated then more than likely they have worms. It is important that you treat IMMEDIATELY as young pups can die from an early onset of Hookworms. 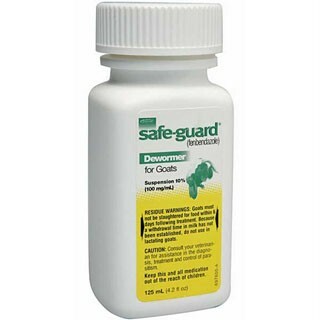 Go buy yourself a bottle of *Fenbendazole Goat Wormer* or *Safeguard Horse Wormer* [these can usually be found at a local feed store or online] A lot of people prefer to purchase the more expensive powdered safeguards because it is formulated more specifically towards dogs. This is unnecessary as the two are very similar, they just come in different forms. NOTE: IF THE MEDICATION FREEZES IT DOESN’T WORK AS WELL! The liquid form dosage is 1 teaspoon for every 10 lbs of body weight. Administer it orally, some people like to put it in the dog food. Another way [and the one I prefer] is to use an eyedropper and squirt it in your pets’ mouth. Once you have done that, give your pooch a treat so they will associate the eyedropper with delicious goodies. Do this every day for 3 days. This treatment will take care of tapeworms, roundworms, hookworms and whipworms. TAPEWORMS ARE EVIL—remember this. The Safe-Guard is a wonderful way to help get rid of tapeworms in your canine. However, there is another type of tapeworm that can be present in your canine due to fleas. Just to be on the safe side, I like to treat my dogs with *Droncit* this drug is formulated specifically to the treatment of tapeworms transmitted by fleas. [SAFEGUARD DOES NOT TREAT THE TAPEWORM CONTRACTED BY FLEAS] You can only get Droncit from a vet, most vets will sell it to you once you have your dog tested for worms. [my vet charges $8 to see if there are worms in the feces] If you explain to your vet that you would like to have some on hand just in case your dog ever contracts tapeworms then your vet should be willing to give you a prescription. NOTE: Tapeworms are contagious to humans AND can cause serious health problems if contracted. We do provide a unique service wherein we will take the pup with us as a carry-on to you should driving distance be too far and the need to travel via air arises. Depending on the location and time of year we are willing to send pups via cargo. [not our first choice] And, depending on location we are also willing to hand deliver puppies. All new puppy owners are responsible for any costs incurred. (A minimum $50 fee is charged for cargo shipping) Should delivery by plane be required there will be an additional charge for our time.